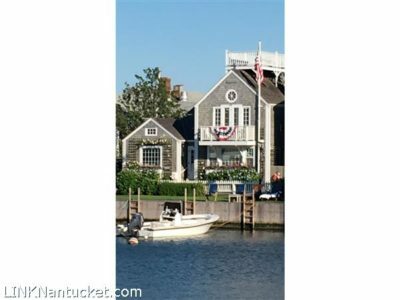 A rare opportunity to be along the iconic Old North Wharf in a lovely two bedroom, two bath home with fireplace. The private wharf allows for an easy walk into the heart of downtown with great shopping and dining so close by. Two cottages, The Chatham and The Essex, were combined and renovated to make a single charming home. The famous sculpture ‘The Chairman of the Board’ which is along the brick walkway is included in the sale. Many returning visitors stop by The Chairman to document their stay with a photograph.